A book critique on a topic every Christian should be aware of and understand. The problem which Machen had faced in his time, some 80 years ago, has no doubt escalated far and above what he had “prophesied”. Liberalism has infected the church like a plague. It is what the apostle Paul called “gangrene.” It eats away at the inside tissue until later, when it is too late, the outer skin has become rotten. It is a disease which must be eradicated from the church. The Christian mind-set must always be one which is like-minded with the Apostle Jude, “Dear friends, although I was very eager to write to you about the salvation we share, I felt I had to write and urge you to contend for the faith that was once entrusted to the saints. For certain men whose condemnation was written about have secretly slipped in among you. They are godless men who exchange the truth of God for a lie and deny Jesus Christ our only Sovereign and Lord.” Here we see that the content of the “faith” (the entire body of doctrine deemed “Christianity”) has been delivered to us, the people of God. Here we are to protect it and defend it. We are to be “contenders” of the faith; world-heavyweights who champion the cause of the Gospel against the heresy of the day. Machen says, “The Liberal preacher is really rejecting the whole basis of Christianity, which is a religion founded not on aspirations, but on facts. Here is found the most fundamental difference between liberalism and Christianity–liberalism is altogether in the imperative mood, while Christianity begins with a triumphant indicative; liberalism appeals to man’s will, while Christianity announces, first, a gracious act of God (p. 47).” Liberals cannot really take the gospel for what it is, the salvation of God for man by Christ, but they must first squeeze it through a liberal grid, a gospel pulverizer, in order for it to “work” the way in which it may be convenient for them. And I found it somewhat strange that Machen would say, “The Liberal preacher,” for this is nothing but an oxymoron. Preachers, in the true sense of the “karussow of God” are heralds appointed by God to bear His message—not their own. The liberal is no “preacher” in the strict sense of the word. I found Machen’s discussion on Christian Doctrine to be extremely important, and I pray that everyone who reads that section would take his words to heart. Christian doctrine does truly lie at the foundational roots of the Christian faith. There are so many churchgoers out there who really do not care if anyone attacks Calvin or Turretin. For many people in 21st Century Christendom doctrine really does not matter. But in reality this kind of thinking can do much damage to God’s people as it has in so many “faith only” sects. Church become touchy-feely and doctrine is placed by the wayside. Yet people are happy with creating their own emotional experience with what they think to be “God”, and yet, “never come to a knowledge of the truth.” When we are “converted” we have a “change of mind” not just a change of heart. The Greek word “Metanoia”, translated “repent”, is defined as “to change one’s mind” in the original. How is this possible if we discard doctrine or treat it in a whimsical manner as the Liberals do? Do we not want to be as the Bereans who were more noble than the Thessalonians, those who study the Scriptures daily to make sure that truth is truth? Doctrine seems to be constantly discarded for the sake of convenience. Christendom worships Mr. Potato Head – the god they fabricate out of the toy box with the eyes, nose, hat, ears, arms and legs they would like. They put their own god together. (Much like the Israelites at the base of mount Sinai when worshipping a molten calf.) But the God of the Bible is not someone who can be manipulated and changed in such a manner. The worst aspect of Machen’s book was the painful fact that there are many “preachers” out in the community of believers who cannot truly preach the message of the cross. As Machen pointed out, the use of the word “God” in the liberal’s mind is far different from the use in the Christian mind. How can salvation be preached if salvation is twisted and distorted into some ludicrous existentialism between the preacher and his congregation. How can the liberal do any good for his appointed sheep? I would say emphatically, he cannot! It is the simple answer of human pride which distorts the message of God’s word. It is the “John Hick” of modern liberalism which ruins the flock and sends them to an early grave with no hope. It is the sly work of the enemy which turns a man into the Albert “Your-quest-is-as-good-as-mine” Schweitzer of the day. Liberalism is nothing more than the reinvention of the Gnostic, Stoic and other traditions in a way which synthesizes them into a neat package. Enlightenment ideas, good morals, high notions, and higher critical thought may act, smell, walk, and talk, as something which evolved from the Biblical basis, but in reality the liberal tank is running on nothing but a lie coated with candy. 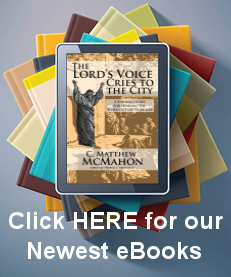 Machen’s book is an A+! I would highly recommend it.